Julie Hedlund Gets Innovative With Publishing Picture Books! 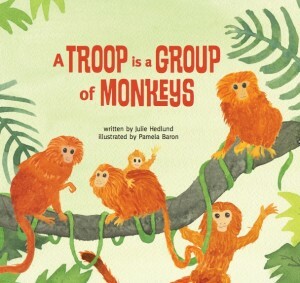 Julie Hedlund's first picture book, A Troop Is A Group of Monkeys, was an story app first, and then became a trade picture book. 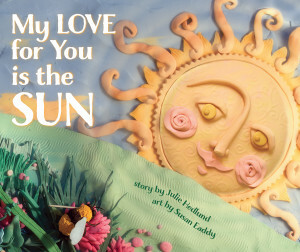 Her second picture book in print, My Love For You Is The Sun, is coming out in Fall 2014. You can find out more about Julie, her books and the 12x12 picture book-creator community here. 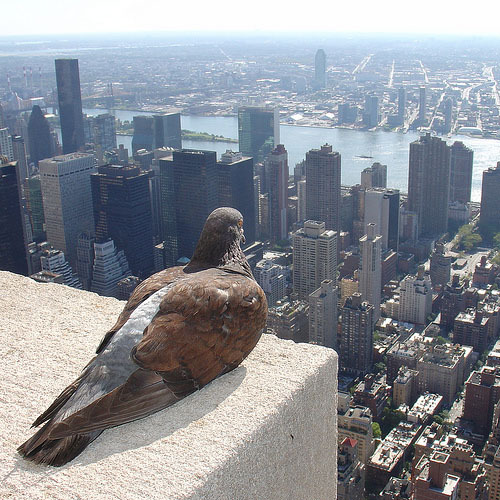 Empire State Pigeon photo by "ZeroOne"
We hope you'll be able to join in all the craft, business, opportunity, inspiration and community of SCBWI's 16th Annual Winter Conference in New York City, February 6-8, 2015! p.s. - Please note that Feb 6-8, 2015 are the new dates for the Winter Conference, and the save-the-date flyer included in the #LA14SCBWI conference packets is no longer accurate. Patricia Newman has a Cause, and once kids read her NF book, they will, too! 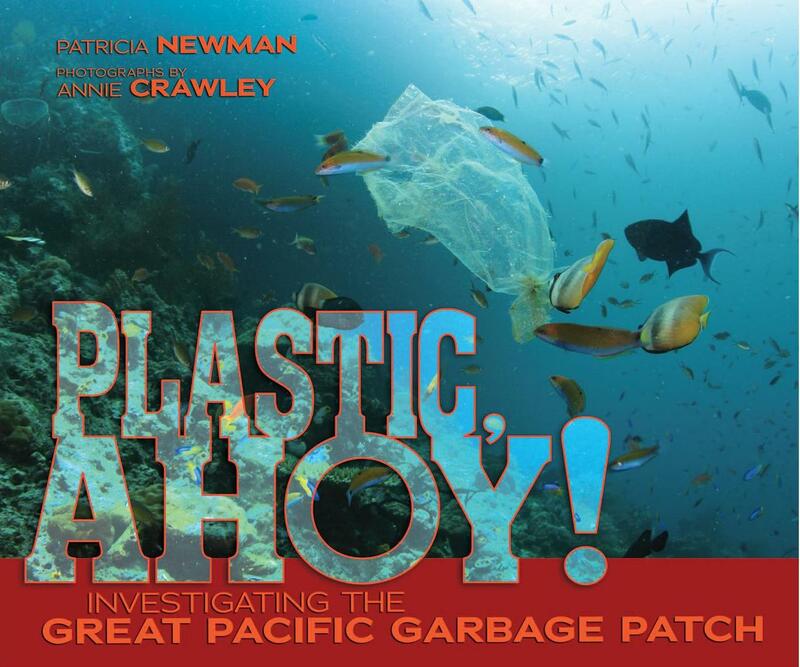 Patricia Newman is the SCBWI Regional Advisor for California North/Central, and she has a new book out, Plastic Ahoy! A real world problem inspired her to write the book, and the book aims to encourage kids (and the rest of us) to be part of solving that problem. Books change lives. We’ve seen it over and over again in our readers’ faces, their fan mail and letters from parents. But I never expected a book that I wrote to change my life. In 2009, I saw an article in The Sacramento Bee about graduate students who organized a research trip called Scripps Environmental Accumulation of Plastic Expedition (SEAPLEX). They wanted to study the growing plastic problem in the North Pacific Central Gyre—a massive area of open ocean surrounded by circling currents. SEAPLEX was one of the first groups to gather data from the gyre. The article inspired me to dig deeper. I found a raft of great information. Mystery. Adventure. Tragedy. All the makings of a great read. During my research, I discovered that the scientists gathered samples of debris using various kinds of nets with names like mantas, bongos and oozeki trawls. When they arrived in the gyre—nicknamed the Great Pacific Garbage Patch by the media--they found that it was not a floating island of trash at all, but millions of micro-plastics no larger than your pinky fingernail and the occasional large piece of plastic. SEAPLEX sailed over 1,700 miles and found plastic in 98.5% of their net tows. The scientists found plastic in the stomachs of one in ten fish and extrapolated that fish inhabiting the middle depths of the North Pacific eat approximately 12,000-24,000 tons of plastic per year. “To see plastic debris in the middle of this large stretch of ocean, far from land, offers a wakeup call for the way we leave our footprint even on remote places of the Earth,” said Chelsea Rochman, one of the SEAPLEX scientists. I knew then that my book, Plastic, Ahoy! Investigating the Great Pacific Garbage Patch (Millbrook Press), wasn’t simply a nonfiction book for middle grade readers. It was a call to action. I’ve carried reusable grocery bags to the store for years, but I found that increased awareness prompted behavior changes that were surprisingly simple and effortless. I switched to net or canvas bags for produce. I carry reusable bags to the mall. When I travel, I drink water from a stainless steel water bottle instead of a plastic one. If restaurants hand me a Sytrofoam “to go” container, I ask for aluminum foil and say I’m cutting down on my single-use plastic. I recycle the plastic that I use (see below for list), and I will vote in favor of the plastic bag ban in California despite the grocery and plastic industries’ anti-ban messages. Even SCBWI can take part in raising awareness. Conference attendees can supply reusable water bottles to be filled at a large urn or pitcher. We can also hire eco-friendly caterers who package conference lunches in paper boxes rather than plastic or Styrofoam. Students with whom I’ve talked are excellent ocean ambassadors. I task the young ones with reminding their parents to bring reusable bags to the grocery store. Some participate in school recycling clubs. They make commercials urging their classmates to recycle. They have eliminated Styrofoam lunch trays from their cafeterias in favor of reusable trays. 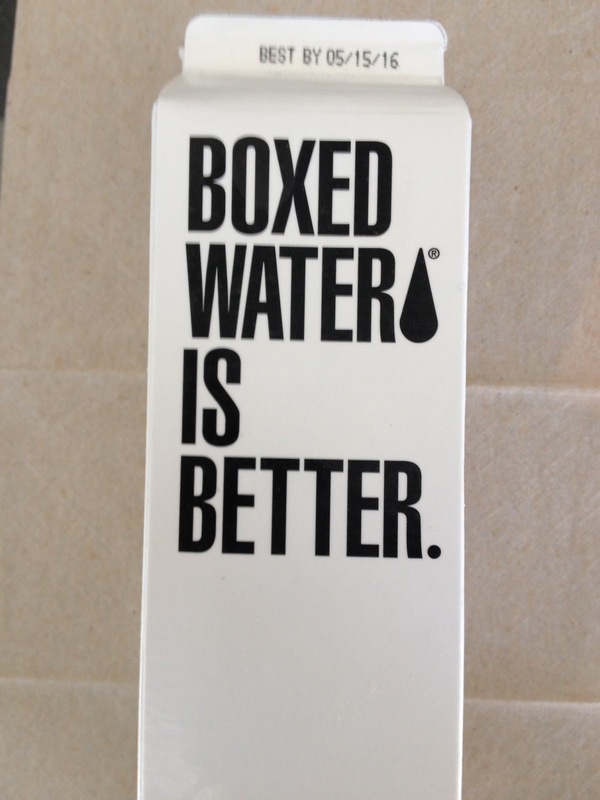 Patricia writes: "A cool water bottle I found while at the LA conference"
Want to find out even more? The Ocean Plastics thread on my blog explores issues related to plastic pollution, such as cleaning up the gyre; a single-celled creature that rafts on plastic and kills coral; how upcycling re-values and re-purposes trash; and expeditions similar to SEAPLEX. Ocean plastic pollution may have been the inspiration for Plastic, Ahoy!, but now the book inspires readers to take care of a natural resource that produces the oxygen for two of every three breaths we take. Let Plastic, Ahoy! change your lives, too. • Soda bottles, milk jugs, shampoo bottles, etc. 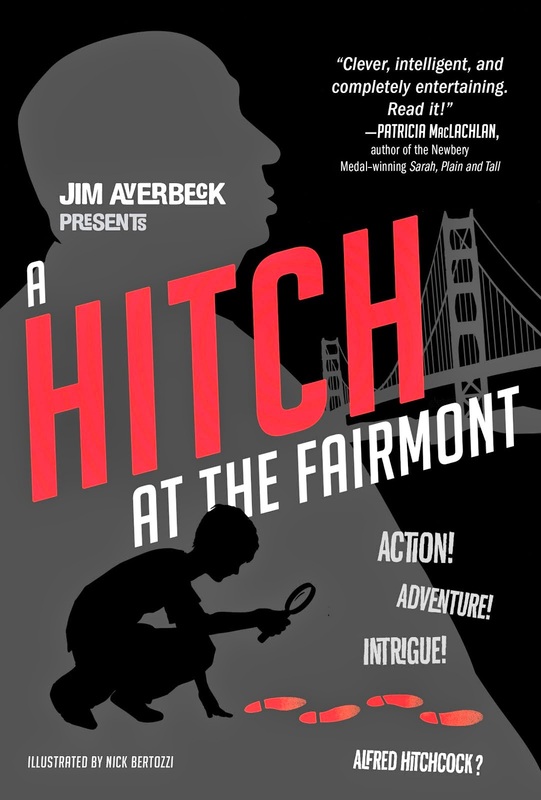 Writer & Illustrator Jim Averbeck has his debut middle grade novel out, A Hitch At The Fairmont. There's a reason this book cover is so big... read on! Jim has an incredibly cool book trailer that riffs on Alfred Hitchcock's "The Birds" - and Hitchcock himself is a character in Jim's middle grade mystery! Check out the full trailer at Jim's website here. 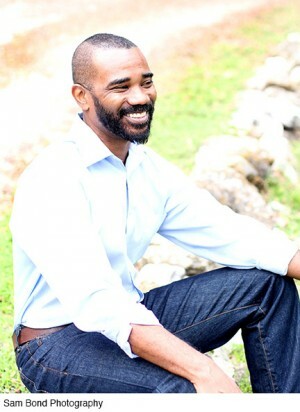 You can find out more about SCBWI member and author Craig Lew (and his business partner, Mark Woolley), the founders of Bright Penny Zapp, here. And, if you download the free BzAR app, you can scan the image of Jim's book cover above and see the 'Augmented Reality' yourself! 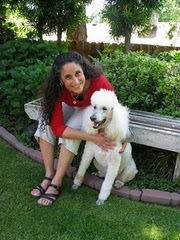 When It Comes To Marketing Your Book, The Experts Say, "Be Authentic" - Edith Cohn Is. 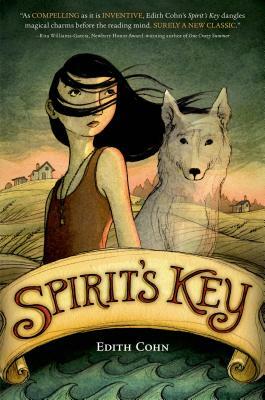 Edith Cohn's debut Middle Grade novel is Spirit's Key. "Watch my lifelong publishing dream come true! A video where I hold my debut novel in my hands for the first time." It was a link to a video Edith put up on YouTube. I watched it, and I think you should, too. Her emotion and excitement are infectious. And we're not only cheering her on, we finding out a lot about the book, too. It's not "hard-sell" marketing. It's not flashy. It wasn't expensive to produce. The video - this glimpse into an exciting moment in Edith's publishing journey - allows us to learn more about her, and gets us interested in her middle grade mystery about a girl who works with the ghost of her pet dog to solve a crime on a remote island filled with wild dogs and superstitious characters. Being authentic shouldn't be difficult. And it's pretty darn effective marketing, as well. Certainly something for us all to consider. The SCBWI Book Launch Award "Provides authors or illustrators with $2,000 in funds to help the promotion of their newly published work and take the marketing strategy into their own creative hands." Lee: Congratulations on winning the 2014 SCBWI Book Launch Award! Stacey: Thank you. I am quite honored to be chosen! Lee: You won the award to help promote and market your young adult novel, UNDER A PAINTED SKY. Tell us about the book. Stacey: A Chinese girl and a house slave disguise themselves as cowboys to run from the law, seek revenge for a murder, and find freedom in the California Gold Rush frontier. It was pitched as a Young Adult Thelma and Louise. Lee: Sounds great! With $2,000.00 in funds from winning the award, and the book launching on March 17, 2015, what are your marketing and promotion plans? Stacey: I hope to partner with museums which focus on 19th century history, in particular the Oregon Trail, and western expansion, the California Gold Rush, as well as the history of the Chinese and African Americans in the U.S. I'll also be creating supplemental materials for schools and libraries to use in conjunction with my book. Finally, I hope to attend a few conferences like BEA and ALA, not only for my book, but on behalf of We Need Diverse Books, a cause I'm passionate about. Lee: How long have you been a member of SCBWI, and how has it helped you on your journey? Stacey: I've been a member since 2007. In 2012, I decided at the last minute to attend my regional conference at Asilomar, my first SCBWI conference. I'm so glad I did - my manuscript ended up winning the Golden Gate Writer's Award, and after incorporating some of the feedback given to me from publisher Arthur Levine, and editor Sara Sargent, I queried it and got my agent, Kristin Nelson of Nelson Literary Agency. Equally important, I met some wonderful people at this conference, including a critique partner. Every year, I look forward to meeting new friends and learning more about the craft at the annual conference in LA. Lee: What are your thoughts on finding the balance between promoting the book(s) that are out or about to be out and writing new work? Stacey: This one's a hard one, and I must admit, I'm still trying to find that balance. If I'm on a deadline, I'll shut off the Internet. Remember Lucy in her psychiatrist booth with her 'The Doctor is IN" sign? I need a sign that says "The Storyteller is IN" just to remind myself that storytelling is what I do, above all. 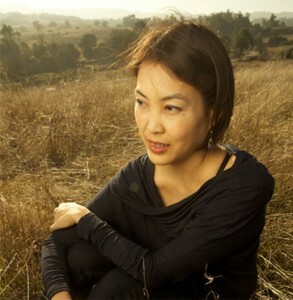 Lee: Thanks for answering my questions, and good luck with the launch of UNDER A PAINTED SKY! Stacey: Thank you so much for having me! You can find out more about Stacey Lee at her website here. Would you like to apply for the SCBWI Book Launch Award yourself? Check out the guidelines here, and good luck! Don Tate, winner of the 2014 SCBWI Book Launch Award! Lee: Hi Don, congratulations on winning the 2014 SCBWI Book Launch Award! Don: Thank you. I was visiting my in-laws in Las Vegas, when Lin Oliver and Steve Mooser contacted me with the good news. I felt like I’d won a jackpot, which, maybe, is a bad comparison. But, hey, I was in Vegas and I won something! Lin suggested that I respond to my lucky streak by throwing “a five on eight the hard way.” Lol! But really, I’m so thankful to SCBWI for this award and what it will allow me to accomplish in my marketing goals. Lee: You won the award to help promote and market your historical picture book, Poet: The Remarkable Story of George Moses Horton of Chapel Hill. Tell us about the book. Don: The book was a long time coming, as most picture books are. I wrote and sketched the dummy about six years ago. After many revisions, several rejections, and two near sales that fell through, the book finally sold to Kathy Landwher of Peachtree Publishers. Yay!—that was an exciting day. POET will be my second authored book, my first authored and illustrated book. It’s the story of George Moses Horton of Chapel Hill, North Carolina, who became the first African-American poet to be published in the South. He was an accomplished poet, who earned a great deal of money. But he was also enslaved. As a young child, George wanted to learn how to read. But as a slave, there was no time. In fact, in some places in the South, a slave could have gotten themselves into big trouble for even trying. George didn’t give up, though. With the help of a found spelling book, and his mother’s Wesley hymnal, he taught himself how to spell and read. Soon, he composed poems inside of his head, which he committed to memory, because he didn’t know how to write with a pen. When George grew up, he was still enslaved. But his master allowed him to walk eight miles from the farm, to the village of Chapel Hill. On the campus of the University of North Carolina, George sold fruit and recited poetry. He became quite famous on campus. Before long, he learned to write his poems on paper, and he published a book. Then he made plans to purchase his freedom from the earnings. It’s never my goal to be didactic with a book, however one will not miss the message of how reading and literacy can change a person’s life. I hope this book will inspire children in that way. Lee: What a story! With $2,000.00 in funds from winning the award, and the book launching in 2015, what are your marketing and promotion plans? Don: POET will publish in the fall of 2015, but marketing will begin much sooner. I am already slated to speak at the Texas Library Association conference next spring in Austin. POET will debut there, hopefully with some sort of posters and bling, but definitely with F&Gs. The money from the SCBWI award will help me to have several launch celebrations. One will be here in Austin, of course, with my local writer/illustrator peeps, family, friends, librarians—and hopefully a school! I launched my last authored book at an elementary school, and it was absolutely the best—for me and the students. I plan to have another launch celebration in North Carolina, perhaps two to three. I’d love to launch the book on or near the campus of the University of North Carolina at Chapel Hill, where George once worked as an enslaved poet. I’ll use the book to reintroduce the community to their little-known hometown hero. The other two events could take place at the North Carolina History Museum (a curator there was a source for the book), and/or at the Forsyth Public Library, a branch formerly named after Poet Horton. To get the community involved, I envision a poetry slam and/or acrostic poem writing competition (George wrote acrostic love poems for college student’s girlfriends). For planning, I’m considering bringing on Kirsten Cappy of Curious City, a book consulting company that offers creative marketing projects. Kirsten does a wonderful job with these types of events. However, I may just do the planning myself. Depends. I have a year to figured all this out. The other part of my plan, which I am really excited about, is taking the book on tour. Along with my friend, author Kelly Starling Lyons, we are planning a book tour tentatively entitled: The Freedom Book Tour: Celebrating 150 Years of Emancipation. Ms. Lyons and I share a book on the subject of freedom and the Emancipation Proclamation, HOPE’S GIFT (Penguin). In addition, another book that I illustrated will publish next spring: THE AMAZING AGE OF JOHN ROY LYNCH (Eerdmans), written by another friend, Chris Barton. All three books deal with the subject of the end of slavery and the beginning of Reconstruction. Ms. Lyons also has another book set during the Reconstruction years, ELLEN’S BROOM (Penguin), which will also join the tour. Next year marks the end of the sesquicentennial observation of the end of slavery and the beginning of the Reconstruction Era in America. We will discuss our books, the importance of freedom, and introduce the historical figures we wrote about. Tour stops might include the National Underground Railroad Freedom Center (OH), the National Civil War Museums (PA), the Schomburg Center for Research in Black Culture (NYC), or others. Planning begins now! I must say also, thank you SCBWI for supporting diversity. I’m an author-illustrator of color, underrepresented in the publishing world. My book will be nonfiction, about an African-American historical figure. That makes POET a diverse title. There has been a lot of talk lately about the need for more diverse books. That is great! But talk is cheap. Money is what will encourage real change. With money from the SCBWI Launch Award, I will be able to work with my publisher to creatively market OUR book. Thank you, SCBWI, for helping my diverse title to reach its market. Don: It seems like I’ve been a member forever. I joined the mid-90s, when I lived in Des Moines, Iowa. But at the time, there was no local chapter there. While I benefitted from the newsletters and literature, I had no real interaction with other book creators. I moved to Austin in the late 90s, and joined the local chapter here. Since then I’ve grown exponentially as both an illustrator and author. Austin has a large and prolific youth literature community. SCBWI is at its center. As a member, I enjoy that sense of community and mentorship. I was nervous about attending my first meeting. I wasn’t sure if I’d fit in. But I was welcomed in like an old friend. It seemed that members were stepping in line to help me to polish my craft. It was my friends through SCBWI who encouraged me to write in addition to illustrating. It’s not likely that I’d be a published author had I not joined SCBWI. Lee: What are your thoughts on finding the balance between promoting the books that are out or about to be out and writing and illustrating new work? Don: Well, let’s add another element to that equation: school visits. My career is made up illustrating, writing, promoting (including social networking), and speaking at schools and conferences. School visits, in fact, are what keep this train chugging along. So, yes, finding balance can be a challenge. I wish I had a grand answer to offer, but I don’t. I just take it a day at a time. And I try not to think about the challenges too much. It’s like juggling, you just do it. Thinking about it will cause you to drop a ball. Lee: Thanks for answering my questions, and good luck with the launch of Poet: The Remarkable Story of George Moses Horton of Chapel Hill! Don: Thank you, Lee! And thank you SCBWI. You can find out more about Don and his books at his website here. Interested in applying for the SCBWI Book Launch Award yourself? Check out the guidelines here, and good luck! 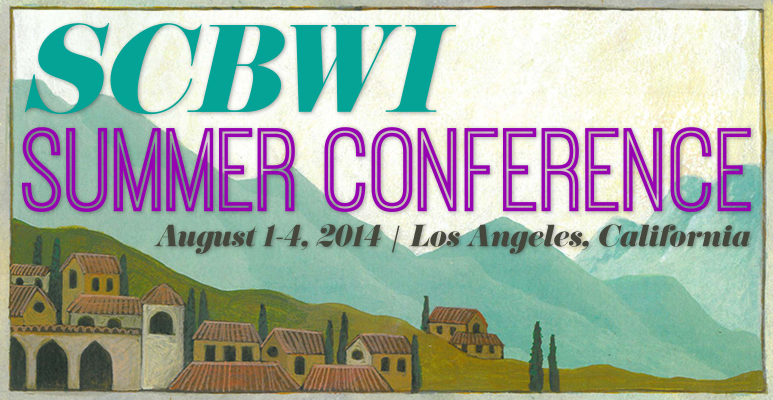 #LA14SCBWI - We Blogged, We Tweeted, We Sang! The 2014 SCBWI Summer Conference just wrapped, and it was an amazing three days of craft, business, inspiration, opportunity and community - and then on Monday there was a whole additional day of intensives! When I took a selfie in front of the attendees of #LA14SCBWI, if I knew it would be RTed over 1220 times, I would've composed a better shot! Hope you can join us in New York for the 16th Annual Winter Conference, January 30 - February 1, 2015. With Full-day Intensives for both Writers and Illustrators, the New York Art Showcase, Workshops, Keynotes, Networking with top Editors, Agents and Publishers and much more, it's an incredible weekend in the center of the children's publishing industry.